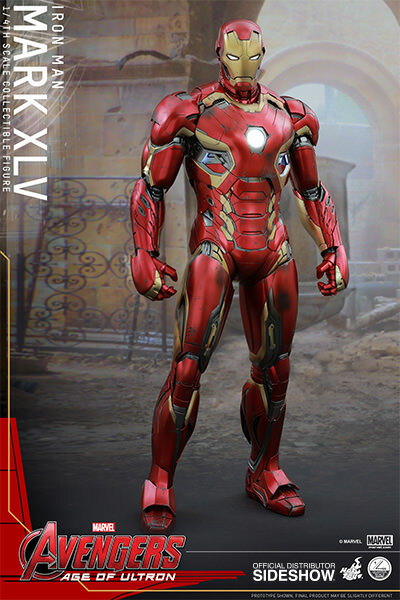 In Marvel’s Avengers: Age of Ultron, Tony Stark suits up in his brand new Mark XLV armor for the final battle in Sokovia against the artificial intelligence, Ultron. 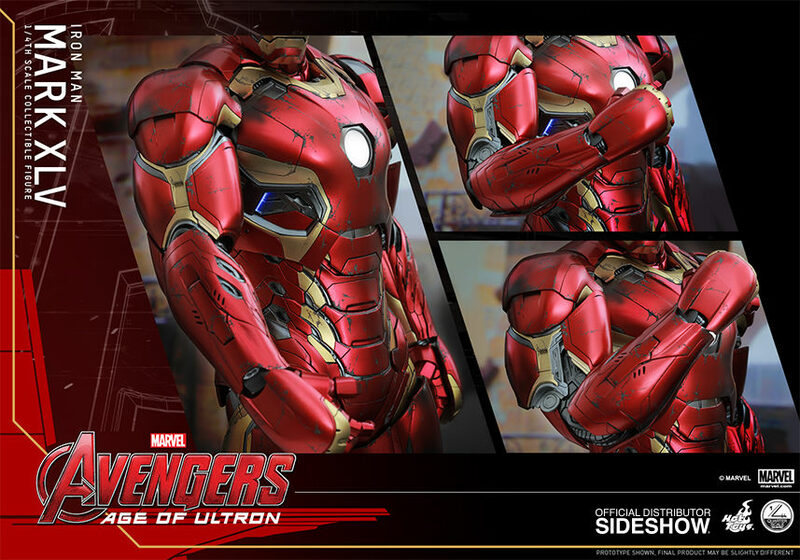 This new suit has captured fans’ attention with its unique streamlined and sleek design! 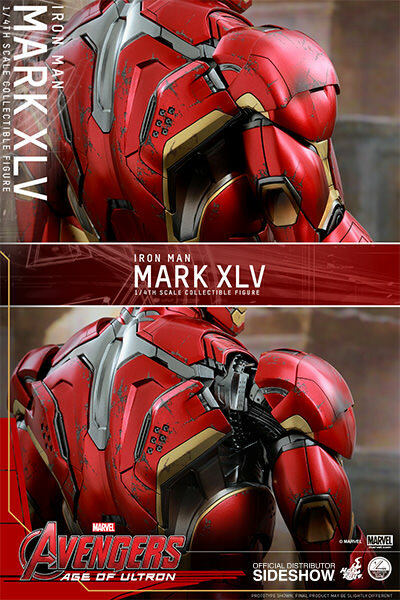 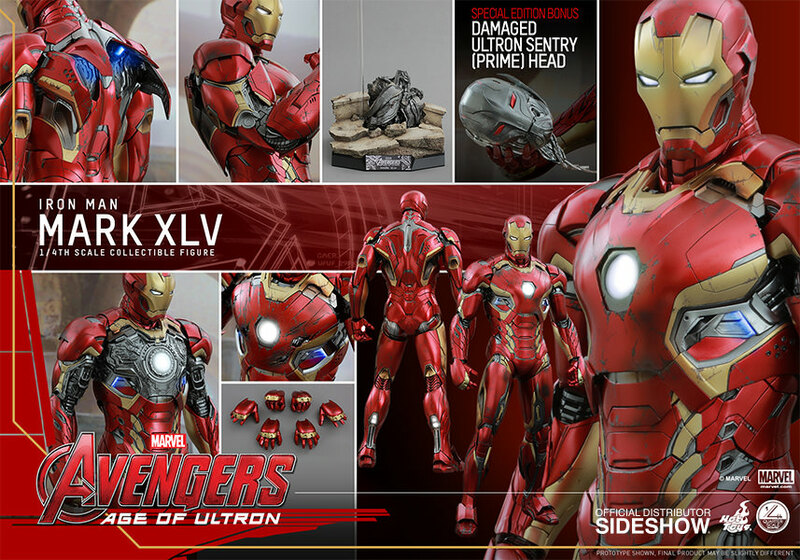 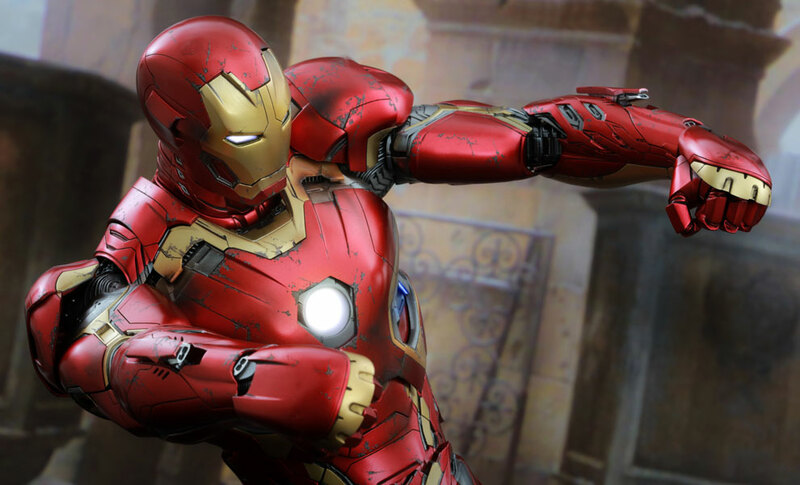 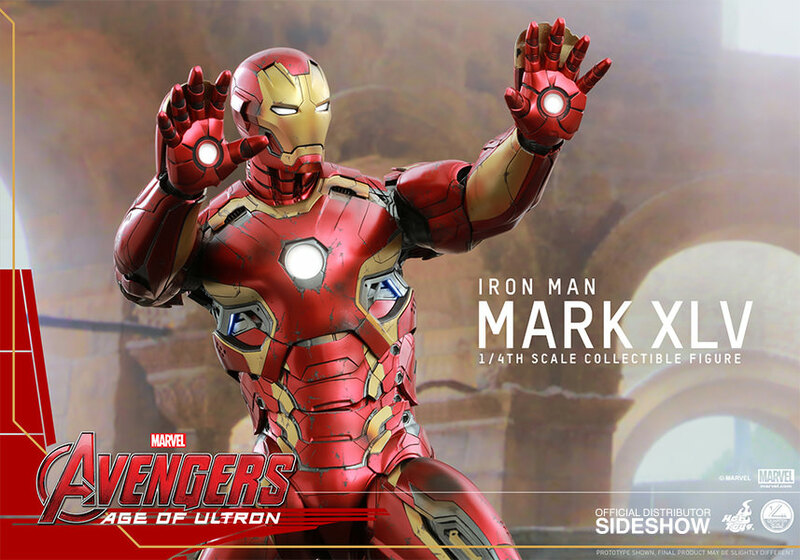 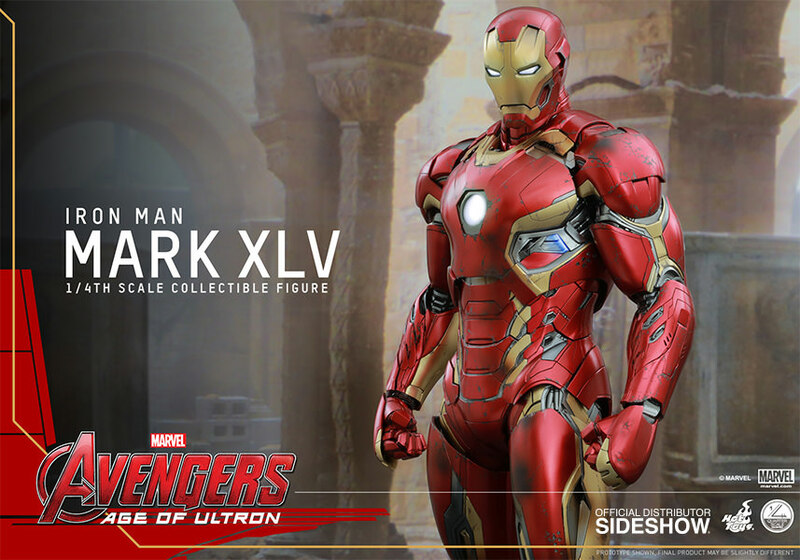 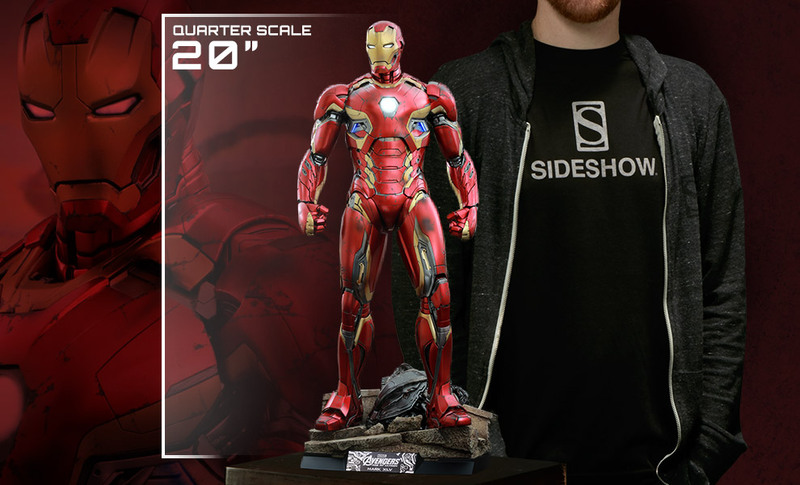 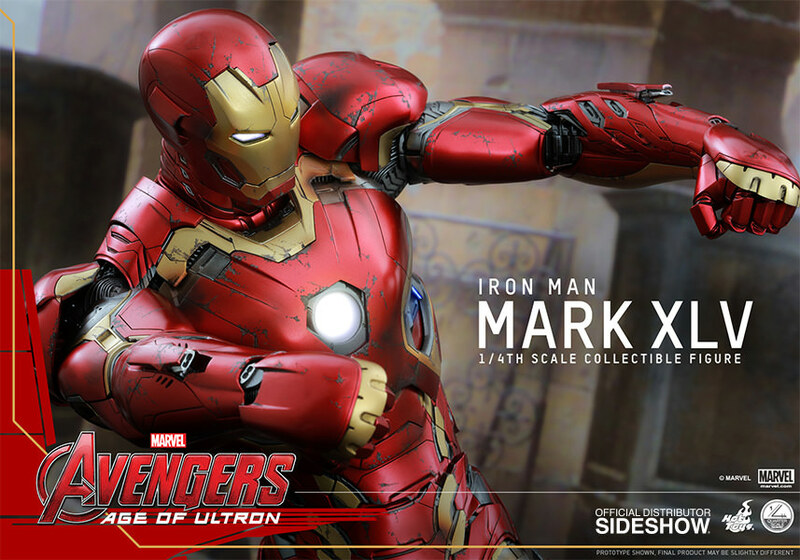 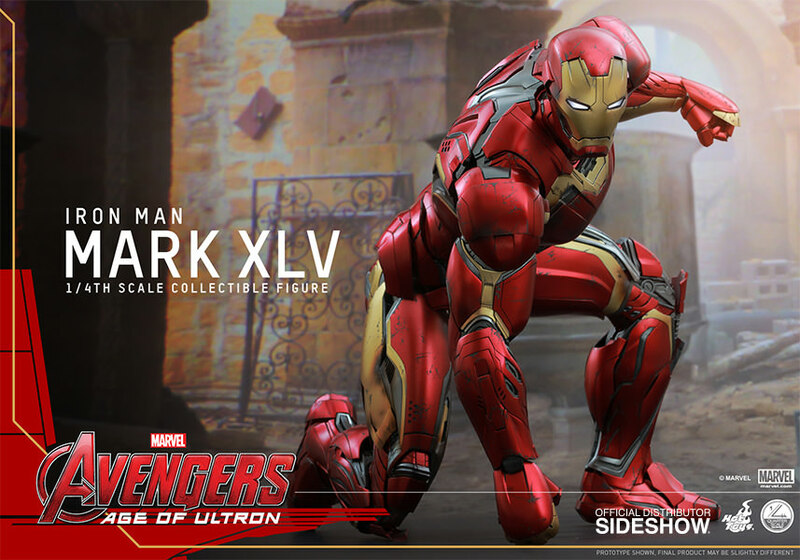 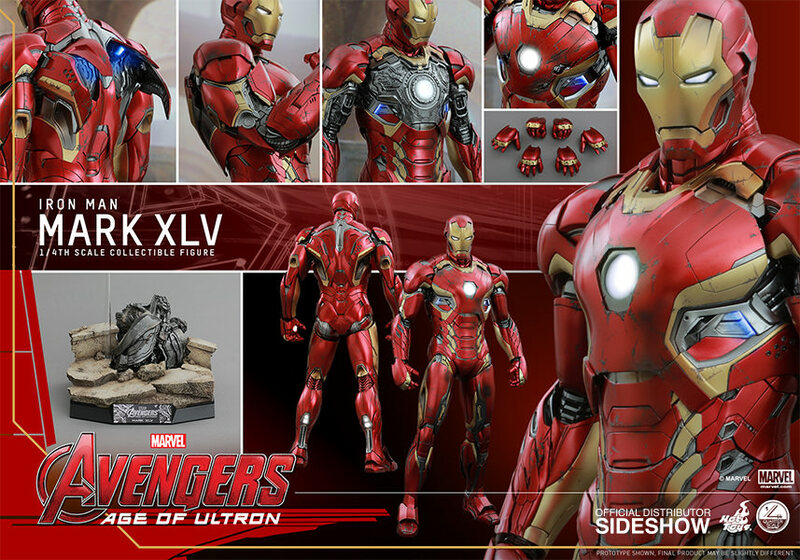 Sideshow Collectibles and Hot Toys are thrilled to officially present the Mark XLV Collectible Figure as the latest addition to the Quarter Scale series! 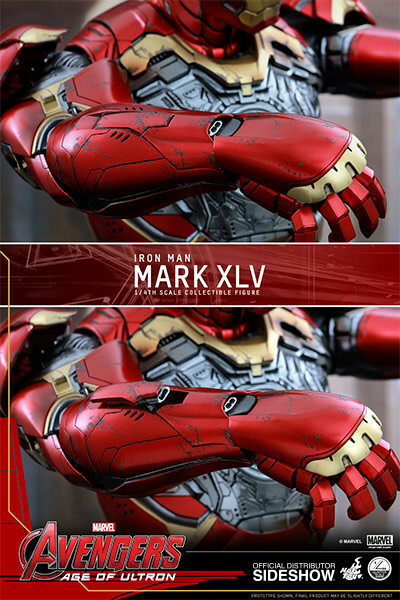 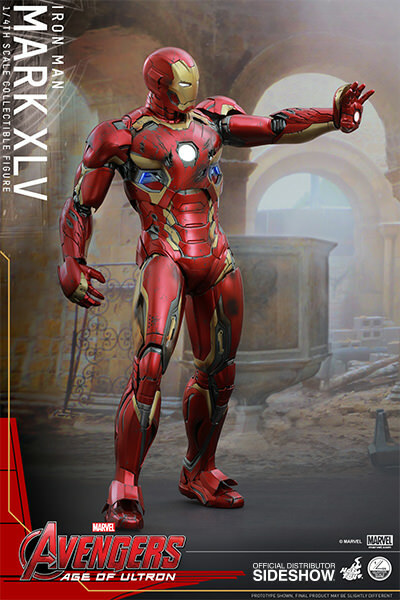 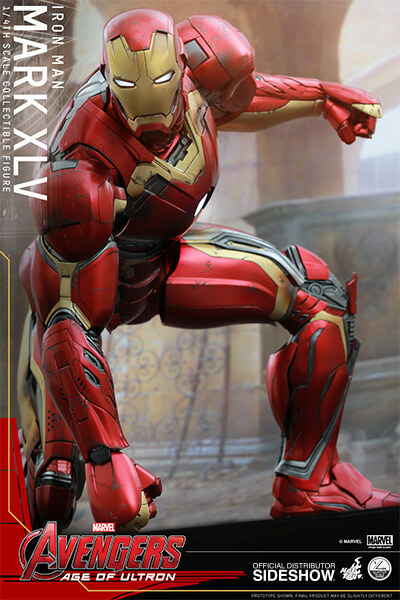 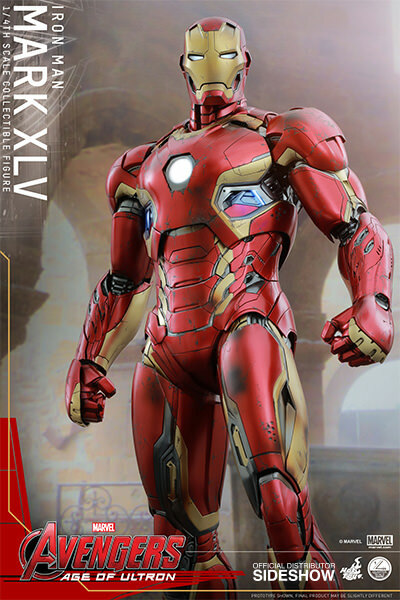 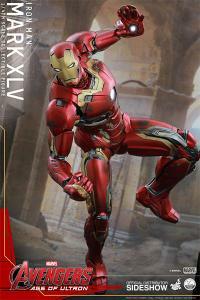 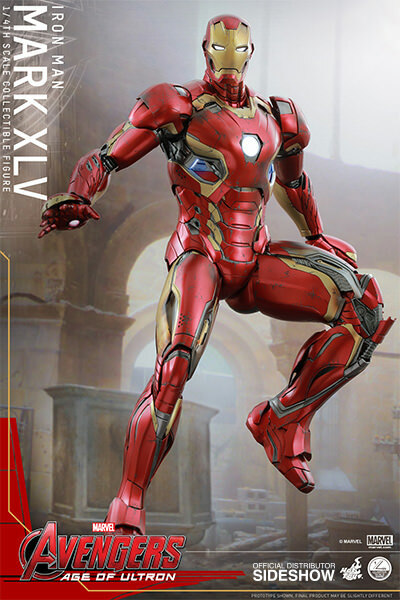 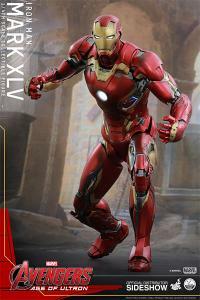 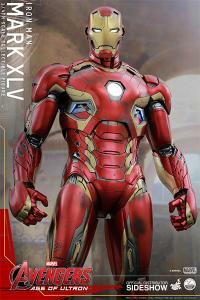 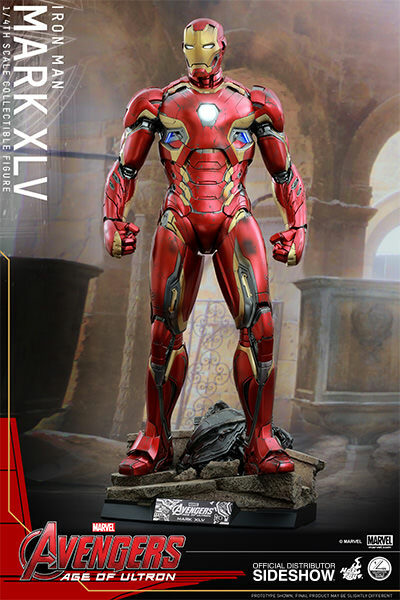 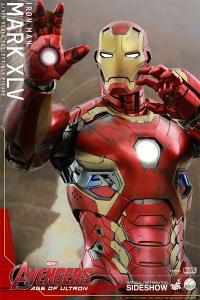 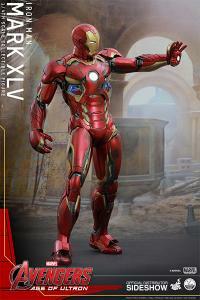 The movie-accurate Mark XLV Quarter Scale Figure is highly detailed and meticulously crafted based on the image of the armor in the film. 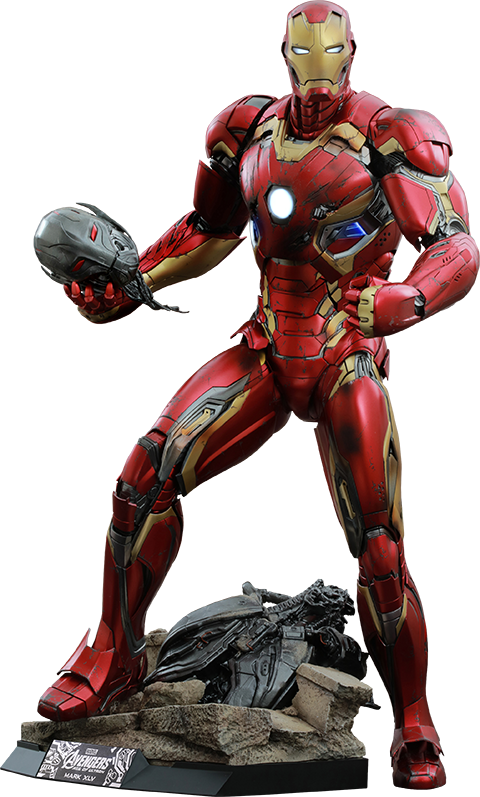 It features a sophisticatedly sculpted armored body, specially applied metallic red, gold and silver colored paint with weathering effects, great articulation with armor parts, LED light-up functions on various parts of armor, and a specially designed diorama base with an Ultron Sentry (Prime) body! 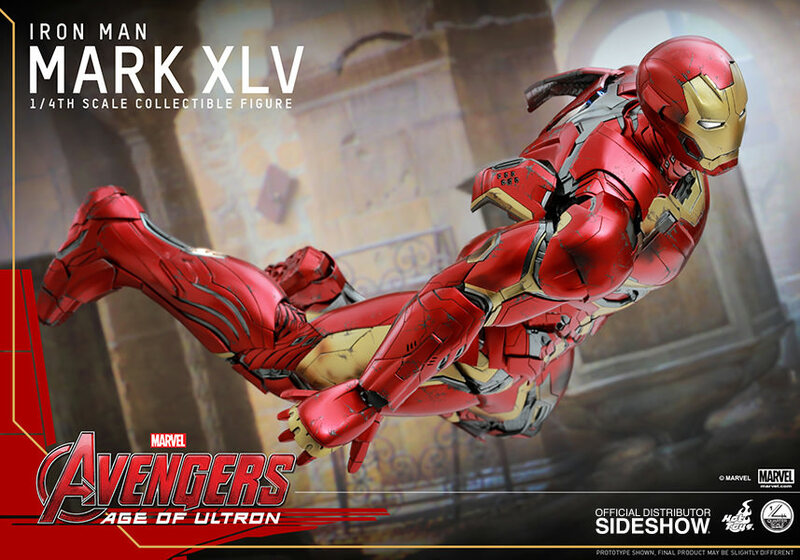 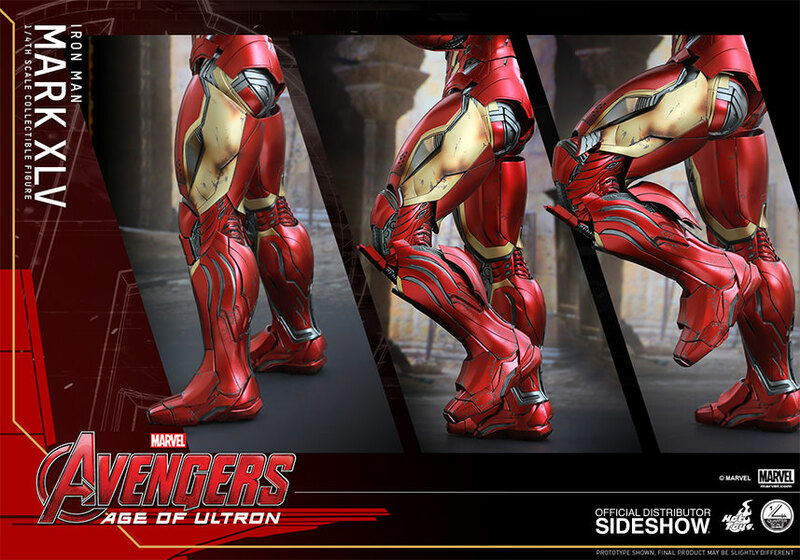 This all-new sleek Iron Man design will be the perfect addition to your Avengers: Age of Ultron collection! 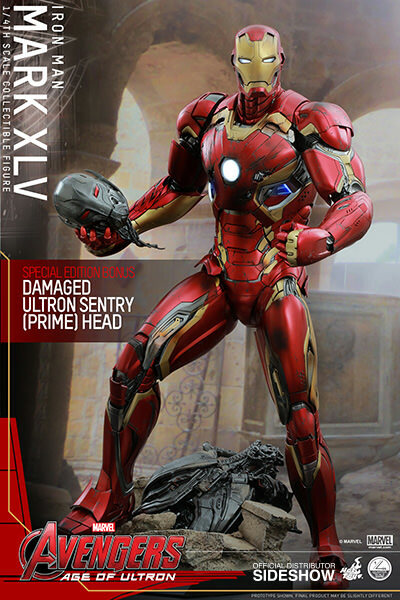 A Special Edition includes a bonus additional 1/4th scale Ultron Sentry (Prime) head sculpt and a secret accessory.